Receive the traditional blessings from monks by visiting some of the finest Buddha shrines in India and Nepal. Accompanied by an experienced guide, this seven-day tour will help you to understand a unique experience, and you’ll hear chanting and prayers as you sit before the monks. 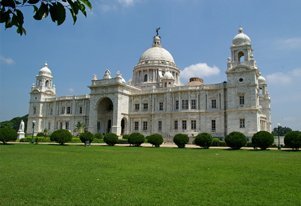 Your seven day guided tour will commence from Kolkata, where you will spend a day to visit the monuments like Victoria Memorial, St. Paul's Cathedral, Ramakrishna Math, Kalighat and Mother Teresa Hospice. Continue your tour to Bodh Gaya, which is famous for its Bodhi tree, the spot where Buddha meditated to attain enlightenment. In Bodh Gaya visit the Mahabodhi Temple, one of the four holy sites related to the life of the Lord Buddha, where you can see the tall stone lotuses, figures of Buddha sitting in different postures on the walls, Buddha footprints on the stones and a colossal golden that has a statue of Buddha in the sanctum sanctorum. When in Bodhgaya, you will go for a day tour to Nalanda (a major Buddhism centre), Griddhkuta "Hill of Vultures’ (the place where Buddha spent many years meditating and teaching) and Saptparni caves (where Buddha’s first council was organized immediately after he attained Nirvana). After spending some good number of days at Bodhgaya, embark on a drive to Varanasi to unfold new chapters from Buddha’s life. 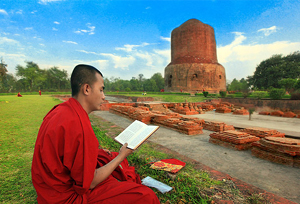 When you arrive in Varanasi, visit Sarnath, where Buddha preached his first famous sermon after attaining enlightenment. 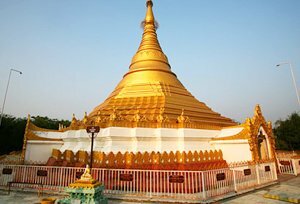 On this guided tour, you will also be visiting the place where Budha attained Parinirvana after his death, Kushinagar, and the holy site where he was born, Lumbini. And not top forget is Sravasti, an ancient city where Buddha spent significant years of his life. From Sravasti, you will drive to Lucknow to board a train to your journey onwards. On this tour, you will be visiting all the ancient cities that are connected with the lives of Gautam Buddha for the scores of reason. Post breakfast at the hotel, proceed for a full day excursion to Rajgir & Nalanda. 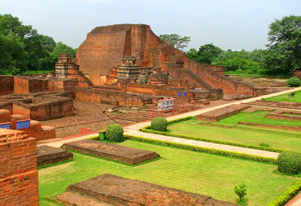 First, you will visit Nalanda, one of the ancient world’s great universities and a major Buddhist centre of academic excellence. Later, you will embark on a 20 km ride to Rajgir to see Griddhkuta "Hill of Vultures", a heritage site where Lord Buddha spent several months meditating and teaching Dharma. After that, visit Saptparni caves where Buddha's first council was organized and is also a source of Rajgir's hot springs. In the evening, return to Bodh Gaya hotel for overnight stay and dinner. Post breakfast at the hotel drive to Sravasti, a city where Buddha stayed for the longest period of time, en-route visit birth place of Lord Buddha - Lumbini. When in Lumbini, visit Lumbini Park where the Ashok Pillar carries the inscription - where the Buddha was born. Then, visit Mayadevi temple sacred to the mother of Lord Buddha, which houses a stone picture of his mother giving birth to Lord Buddha. Later visit the China Temple, a pagoda-style temple with many prayers and meditation cells. On arrival at Sravasti, check to the hotel for overnight stay and dinner. Post breakfast at the hotel, go for a city sightseeing tour. 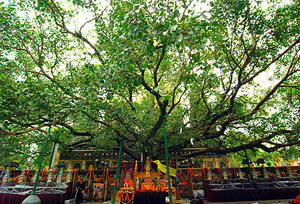 When in Sravasti, visit Ananda Bodhi tree where Lord Buddha meditated for a night and then visit Jetavan where Lord Buddha performed some miracle. In the afternoon, drive to Lucknow to board a train for journey onwards.